I recently (about a week ago now) got the chance to try out the newest range from Neal and Wolf. 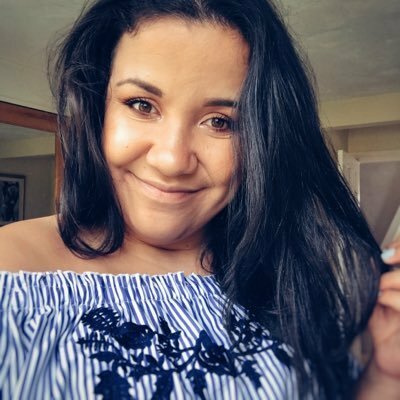 I've tried the brand before (briefly) in a beauty box not so long ago and it was a heat protection spray which I loved using and the products smell so good. 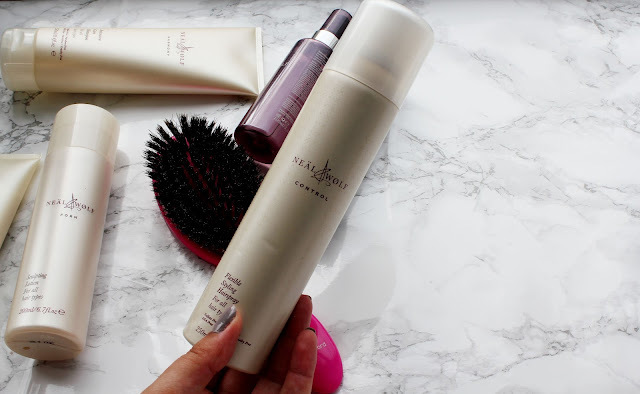 I'm always a little skeptical to try out a hair brand I haven't tried out before as I am sure if you've read my blog for a long time you'll know about how I suffer with hair loss (you can read the post here). But having loved the first Neal and Wolf product I've tried I was really excited to give these products a go. Over the past 2 years since my surgery (which has led to my hair loss) I've really struggled with finding the right products for my hair, I've tried numerous expense brands which claim to do magical things to your hair and yet don't do anything but right now I'm really happy with my haircare routine. I've never really branched out of my product comfort zone but there's a couple of products from this collection from Neal and Wolf which I'll be repurchasing. Neal and Wolf Sculpting Lotion - £12.50 If you're looking for a product which will give your hair that much needed TLC this lotion is for you. This product from Neal and Wolf is best used to help shape and hold your hair and leave it feeling textured and shiny. The best way to use this is to use about a 10p sized amount and run through your hair to leave it feeling texturised. 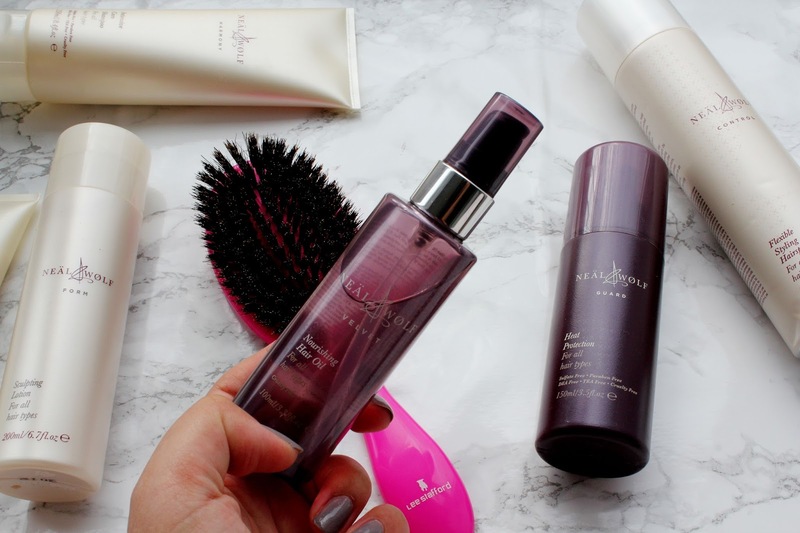 Neal and Wolf Intensive Care Treatment - £13.50 Is there anything better in life then a gorgeous smelling haircare product? One thing I really love about these products from Neal and Wolf is that they not only work but they smell SO good. I've used this twice so far and I've already seen some results. Once I've showered and used this my hair feels more hydrated and has so much more life to it. It says to leave it in for 3-5 minutes but I leave it on my hair about 5-10! 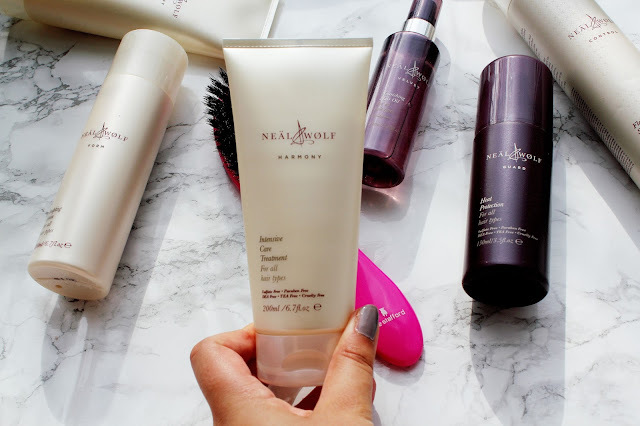 Neal and Wolf Intensive Care Shampoo - £14.50 If there's one thing I've learnt through my haircare journey it's worth investing in a good shampoo. I think this can make all the difference to your hair. 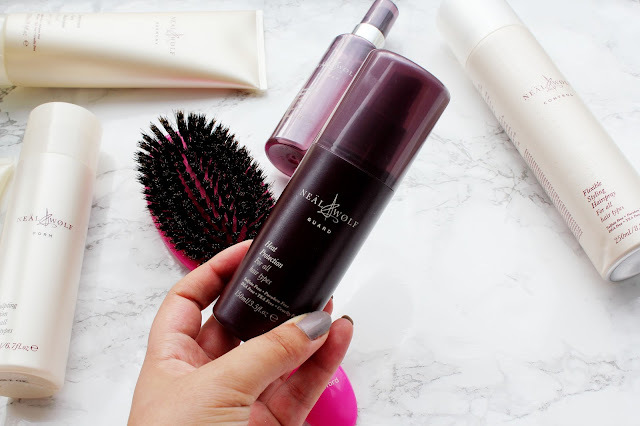 If you're wanting for your hair to grow, a hair stylist once told me that the best way to apply your shampoo is from the root and really massage the shampoo in and this helps stimulate growth. She also told me that it's worth investing in a good quality shampoo as it makes all the difference. Neal and Wolf Flexible Styling Hairspray - £9.50 This is a product I've only used once and that when I was off out for an event. I don't use hairspray often but when I do it has to not completely dry out your hair and it has to leave it smelling good but also holding my hairstyle. I really like this (as it smells so good) but I wouldn't recommend spending all your pennies on it unless you're a serious hairspray lover! Looks like nice products !